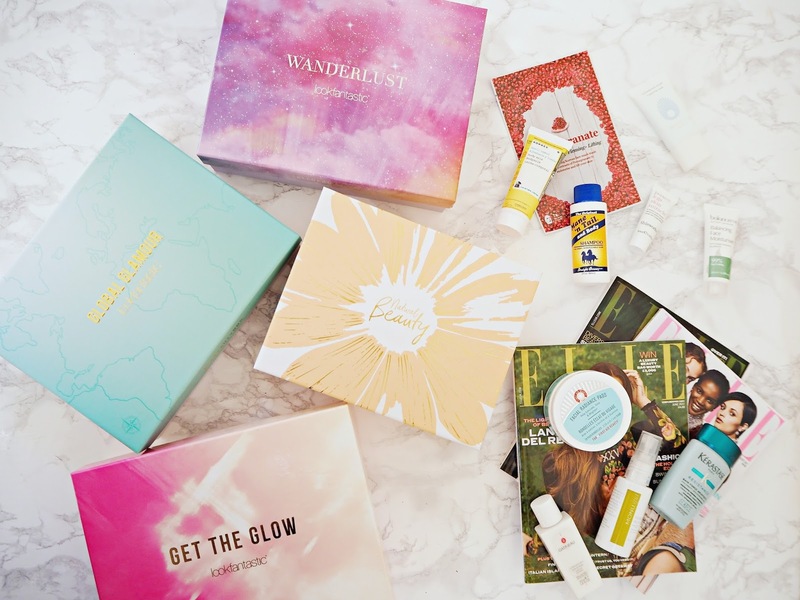 Beauty subscription boxes are alway a topic of conversation in the blogging world - some of them can get pretty expensive and there's always the chance you'll get a few duds. 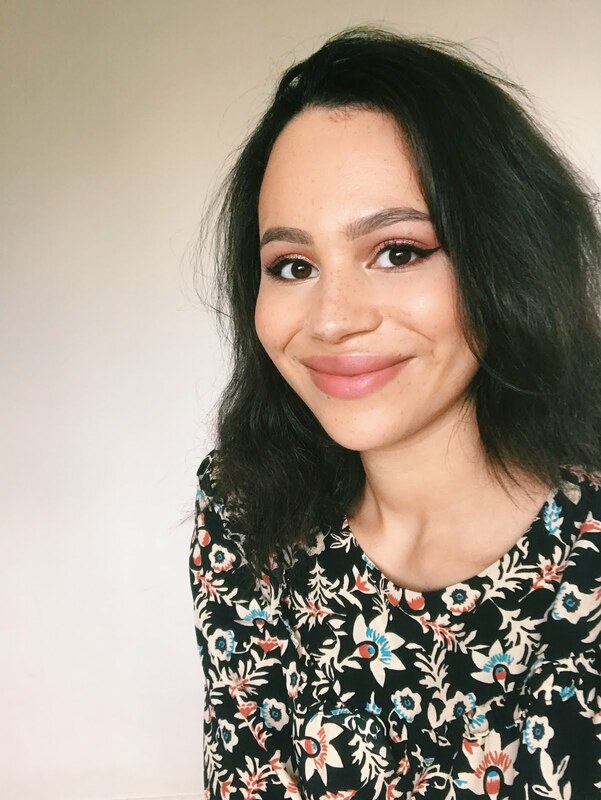 I've been subscribed to the Look Fantastic Beauty Box* | £15 | for a little while now, so I feel I can give you a proper overview of it! Look Fantastic of course has the most insane range of brands (I often go on there and realise they stock someone I had no idea they had!) so they're pretty much the perfect candidate for a beauty box. Inside each gorgeously-packaged and themed box you get several premium minis, the occasional full-sized product, a copy of Elle magazine (worth £4 on its own) and the odd generous discount code. I thought the best way to tell you about this box (which I reveal each month on my Instagram page) would be to talk you through my favourite things from it! This is to give you a flavour of the brands and type of products you get in there (as opposed to reviewing things that aren't available as part of it any more). 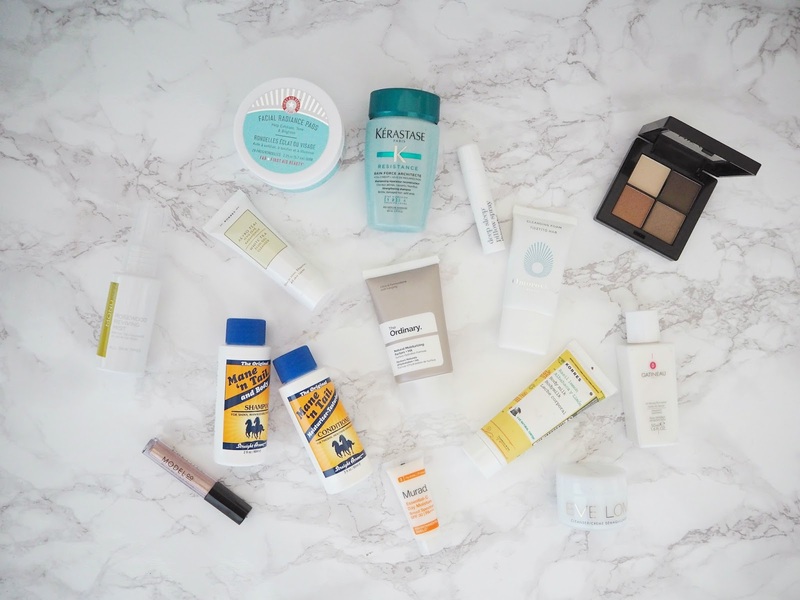 In terms of skincare there are a fair few standouts. I really enjoy some of the cleansers I've got in the box - the Omorvicza Cleansing Foam* and Korres White Tea Gel Cleanser* are both lovely options for first thing in the morning when you want something to get rid of any lingering dirt or grease without being harsh and stripping. The Gatineau Gentle Silk Cleanser* has such a luxurious texture and works as a second cleanse or to remove light makeup. I also finally got to try the Eve Lom Cleanser* | thanks to this box! It has such a luxe fragrance and texture, as well as removing makeup and hydrating my skin. The Ordinary's Natural Moisturising Factors + HA* | is a great basic everyday moisturiser that lightly hydrates without smothering the skin. The Monu Rosewood Reviving Mist* | is also great - it instantly refreshes and hydrates my skin whilst smelling amazing! The First Aid Beauty Facial Radiance Pads* | are an old favourite of mine - they're pre-soaked cotton pads with glycolic acid to provide an instant glow boost. I also pulled out the Murad Environmental Shield Daily Moisturiser SPF30* | the other day (after totally forgetting to try it!) and it's great - silky and hydrating without being greasy and easy to wear makeup over. In terms of hair and body, there have also been a few standouts. I'm a long-time fan of this product range and really enjoy the fresh, clean scent of the Korres Basil Lemon Body Milk*. It's light and hydrating without being at all greasy but still gives my skin that much-needed hydration. The This Works Deep Sleep Pillow Spray* | is another product I've loved for years so it's nice to have a travel mini of it! I used to be sceptical of these products but the soft lavender scent really helps me relax and drift off. In terms of haircare I'm definitely an advocate of the Mane 'n Tail Original Shampoo* & Conditioner* | they just give my hair that silky soft, hydrated, healthy look. The Kerastase Resistance Bain Force Architecte* | is also a great option if you want something fresh, hydrating and strengthening that won't weigh down your hair. I feel like this box is more geared towards skincare but there have still been some makeup products I've enjoyed from it. I never would've thought to check it out, but the Modelco Eyelites in St Barts* | is a gorgeous liquid-cream eyeshadow. It doesn't seem to be available any more (sadly) but it's an iridescent pinky-beige with gold. I also like the Hikari Eyeshadow Quad in Tonya*. It's just an everyday warm eyeshadow look in a few easy steps with both matte and shimmer options. I wouldn't say they're the most intensely-pigmented colours in my collection but they're just nice for a more lowkey look. I never feel like the box has been filled with the rubbish no one really wants and I find that I get to try new brands each month, as there's very little repetition. If you'd like a reasonably-priced way to try new products in nice little bite-sized chunks (this would also make a great gift for any beauty-lover) then you really can't go wrong with this. It won't break the bank and I love that I get Elle with it, because it's one of a very small number of magazines I buy regularly and read cover to cover. I've never subscribed to any beauty boxes but I think it's a great concept! I've read mixed reviews on them, either way I still enjoy reading blog posts on them. 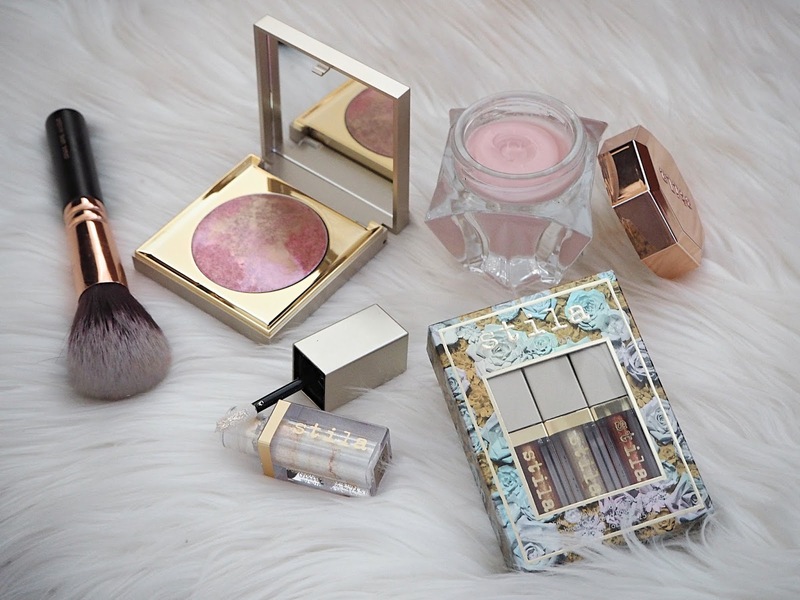 The packaging really stood out to me, but the fact that they have lovely products is more important! I recently subscribed to Look Fantastic, and I'm really enjoying them! I love Latest in Beauty or Powder Drawer if I want a one off! Beauty boxes don't usually appeal to me but this one looks quite lovely. I have wanted to subscribe to a beauty box for such a long time and I think I may have finally found the perfect one with this one! This looks like such a good beauty box!